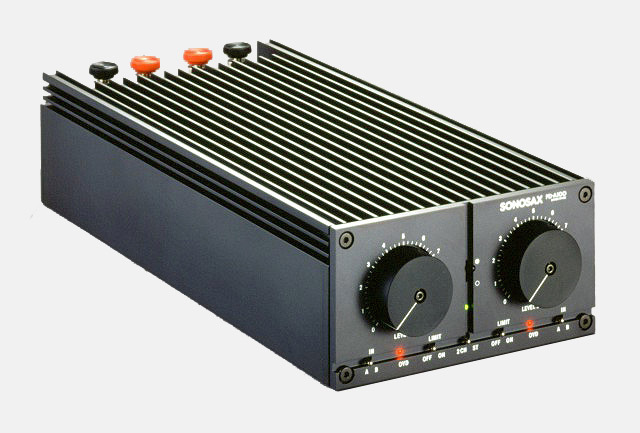 SONOSAX FD-A100 is the most compact professional stereo amplifier created to date. 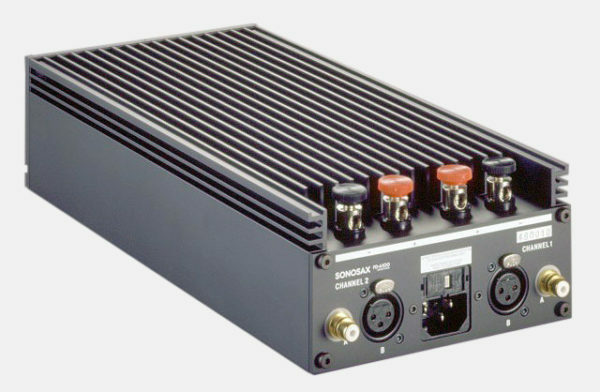 This unit has 2 inputs per channel, namely 1 floating balanced input with an XLR connector and one unbalanced input with a cinch connector. In this manner, this monitoring amplifier can be connected with any source and has the advantage of being extremely practical and flexible. The output connectors take cables up to a section of 10mm2 and offer optimal contact. A limiter, which can be disconnected, wards off any deterioration of loudspeakers by clipping. As regards the electronics of SONOSAX FD-A100, only transistors are used for sound processing, to ensure the absence of coloration, harmonic and transient distortion. 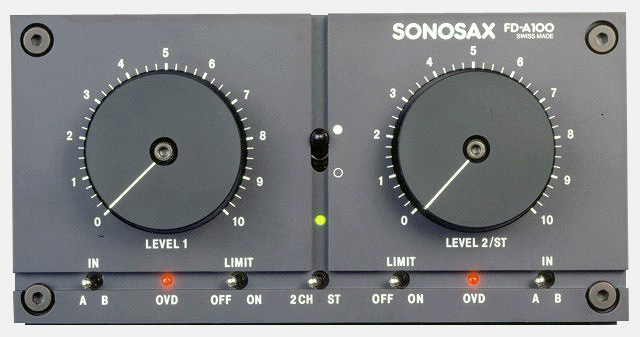 All components are of professional type, as for all SONOSAX products, such as conductive plastic potentiometers, hermetic switches with gold-plated contacts, gold-plated connectors, to ensure a long life. Despite its small size, FD-A100 compares favorably with the best amplifiers on the market, for quality of sound.